- Keep corners and floors as clutter-free as possible. - Add furniture that is flush to the ground. - Remove breakable items from surface areas. 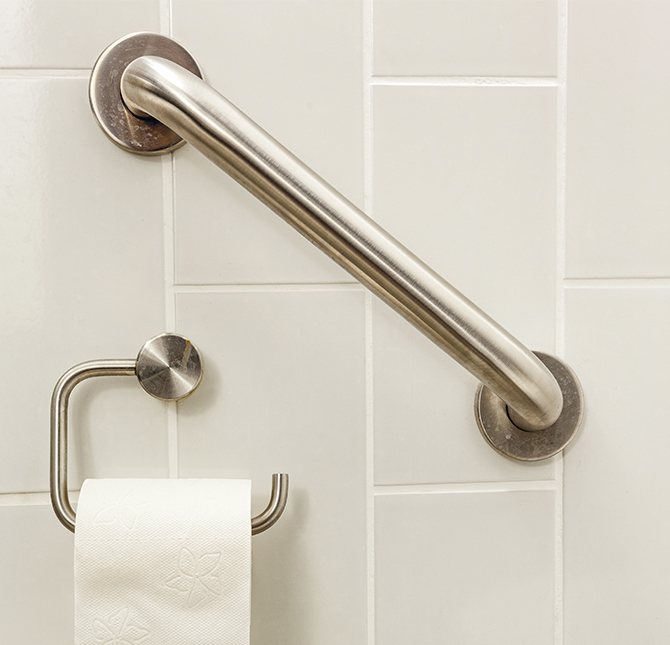 - Add grab bars in the bathroom and by the bed.